An estimated 4,000 prisoners currently on death row in Iran for drug-related crimes could have their death sentences revoked, following a judicial order based on the country’s newly amended drug trafficking law. The order, issued by Judiciary Chief Sadegh Larijani on January 9, 2018, suspends death sentences for drug-related crimes pending sentence reviews and requires judges to rescind death sentences that do not meet the new conditions set by Parliament for the death penalty. On October 14, 2017, the Guardian Council, which vets laws for conformity with Islamic principles, approved an amendment to the Law Against Drug Trafficking after it was passed in Parliament despite efforts by security agencies to halt the bill. The development comes after years of domestic and international human rights campaigning. Iran has one of the highest per-capita execution rates in the world. More than 500 people were executed in 2017, the vast majority for low-level drug-trafficking crimes, including for carrying small amounts of illegal drugs. 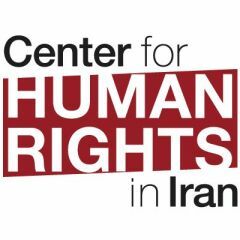 An estimated 5,000 people were on death row in Iran prior to the judicial order for drug-related crimes, the vast majority first-time offenders under the age of 30. Data compiled by the Centre for Human Rights in Iran shows that in the 12 months prior to the passage of the amended law in October 2017, at least 270 prisoners were executed for drug crimes that are no longer punishable by death. I see this as a good omen. It has come a bit late but it will still save the lives of many human beings. I’m happy to see these efforts have led to constructive decisions by Parliament and the judiciary to reduce executions. I hope the amendment to the drug law will become a benchmark for future judicial reform to strengthen justice, freedom, peace and progress in Iran. and possession or transportation of more than 50 kilos of opium and other “traditional drugs,” two kilos of heroin, or three kilos of methamphetamine. By our estimation, 4,000 of the 5,000 prisoners convicted of drug charges will be saved from execution. I was a judge and prosecutor for 20 years so I’m well aware of the situation facing these prisoners and their families. Ninety percent of the prisoners on death row for drug crimes were just unfortunate mules carrying drugs to pay for their daughter’s dowry or an operation for their mother. [This] is an edited version of an article that first appeared on the Centre for Human Rights in Iran website.